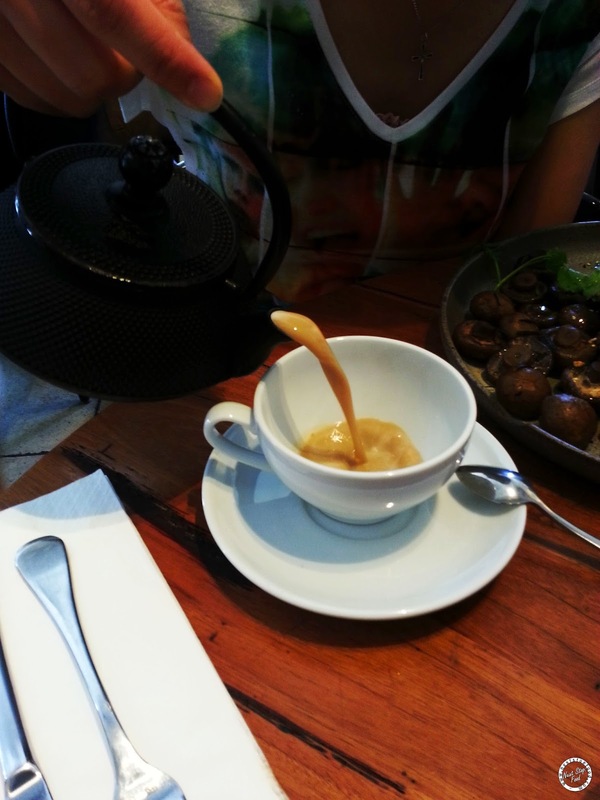 Next Stop: Food | Food Blogger located in Sydney Australia: West Juliett - Lovely 'shrooms, chai and COOKIE! 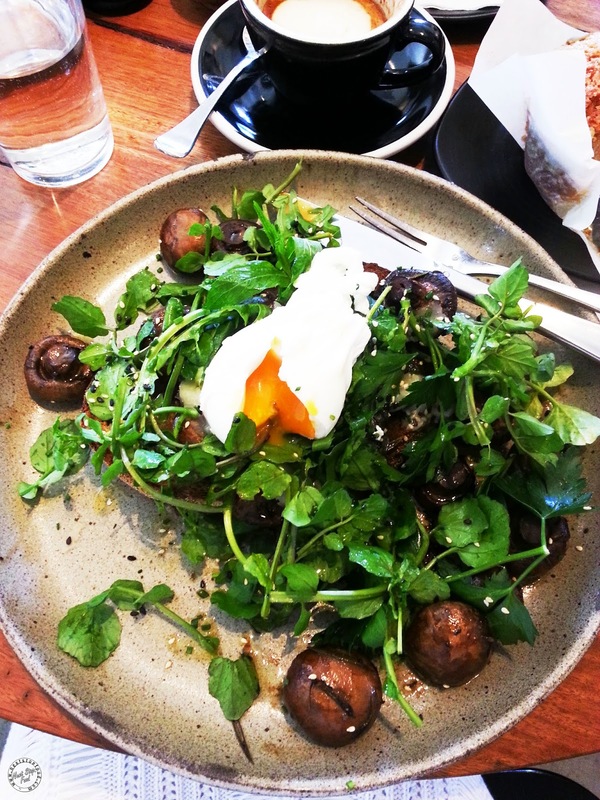 West Juliett - Lovely 'shrooms, chai and COOKIE! 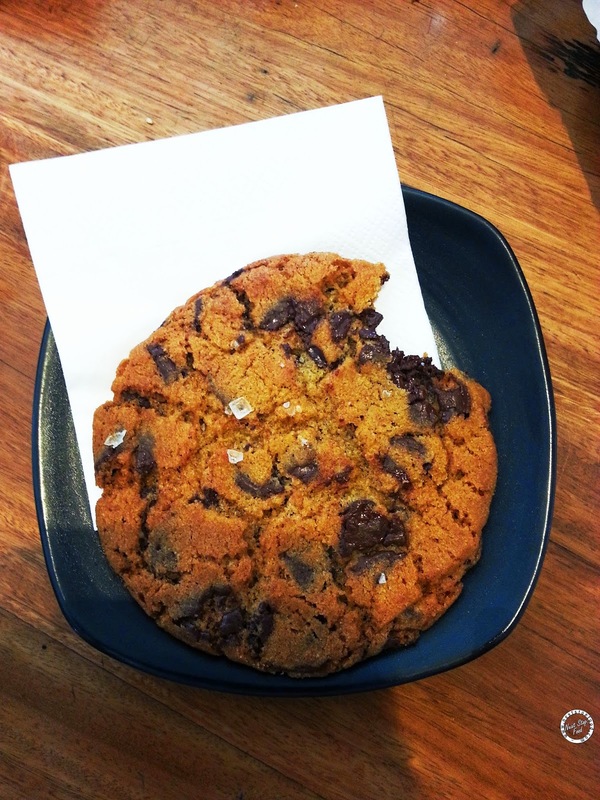 Away from the busy Marrickville St, in the corner of Llewellyn St and Juliette St, is West Juliette and their famous pink salt choc chip cookies. 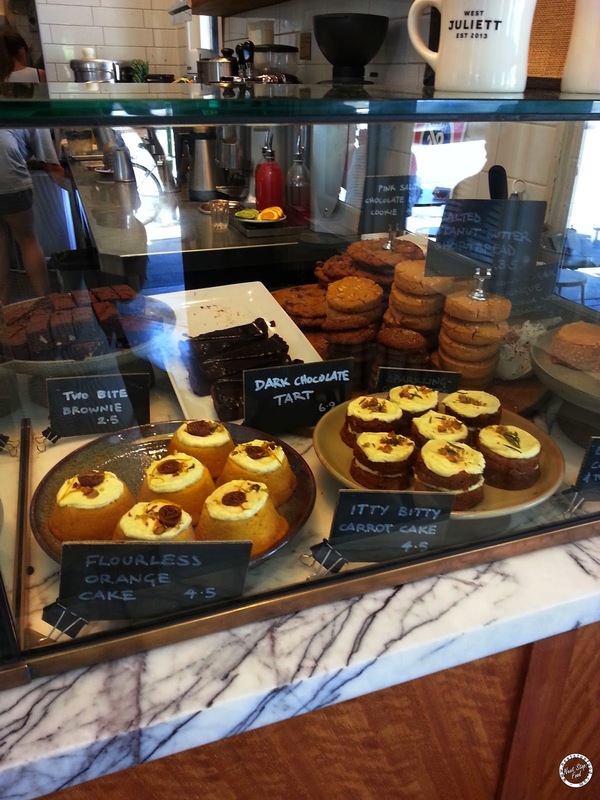 As we waited for a seat, our eye goggled at the glass cabinet filled with dessert goodness. 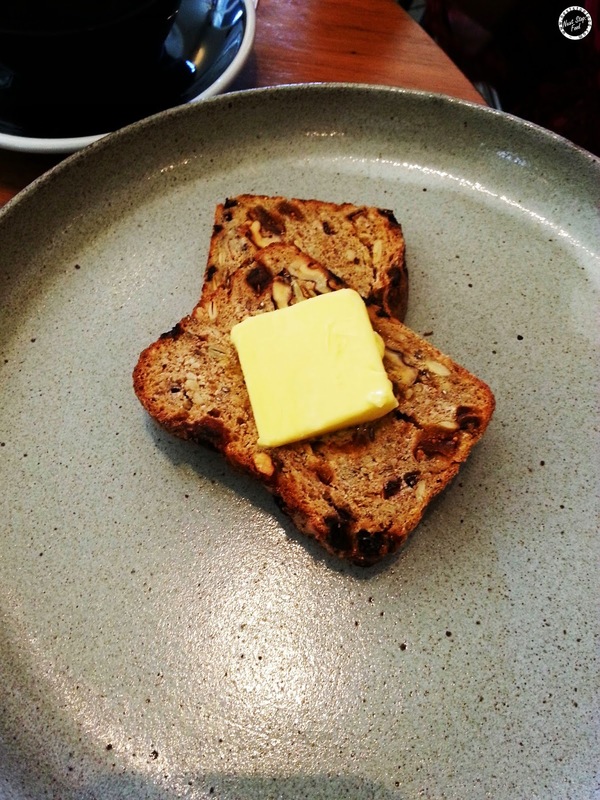 The toast was jam packed with ingredients, I particularly love the nuts in it. 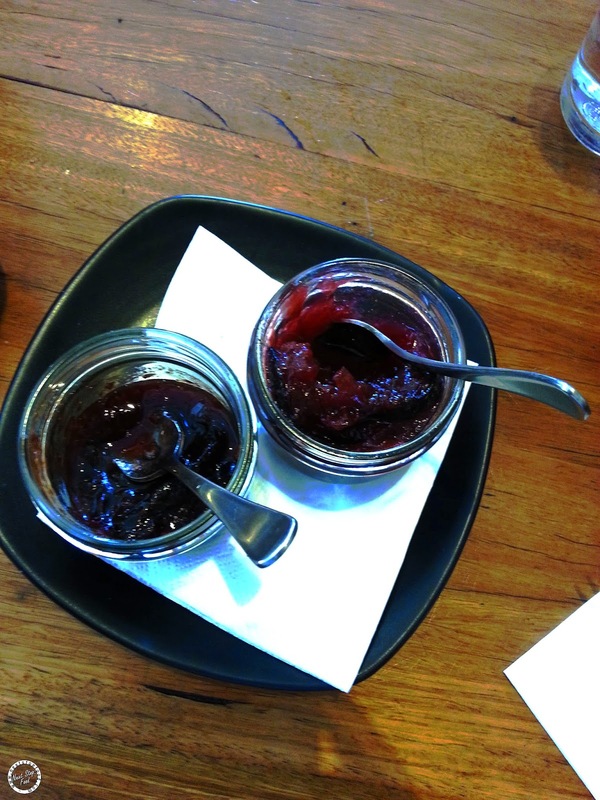 It comes with lovely jam and honey. It was absolutely delish! The jam had a whole vanilla bean pod and star anise in it - definitely housemade! 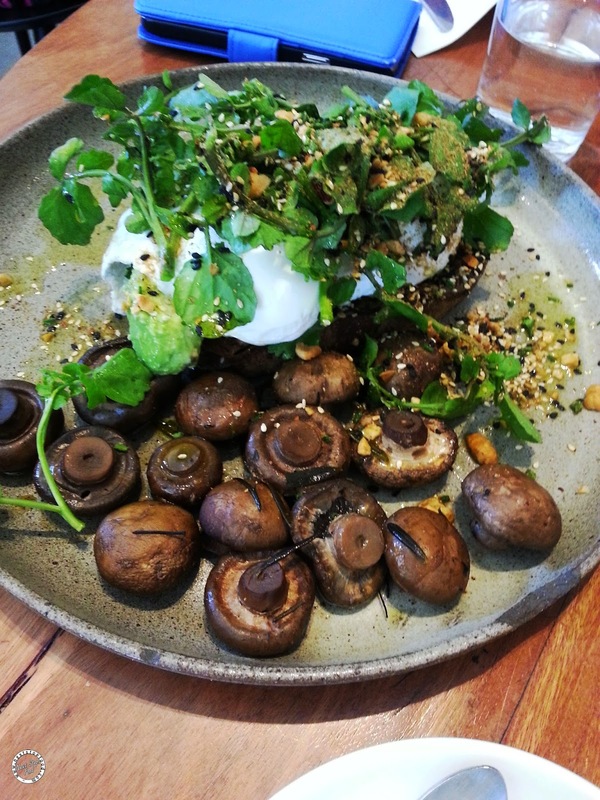 I LOVEEEE my mushrooms and gotta love the amount of mushrooms in this dish! The gorgeously sweet burnt onions are hidden underneath the greens as well as the shaved kasseri (type of cheese). West Juliette's store roasted, blended and hand crushed chai was amazing. The aroma coming from it was just out of this world! This was a delicious two bite! 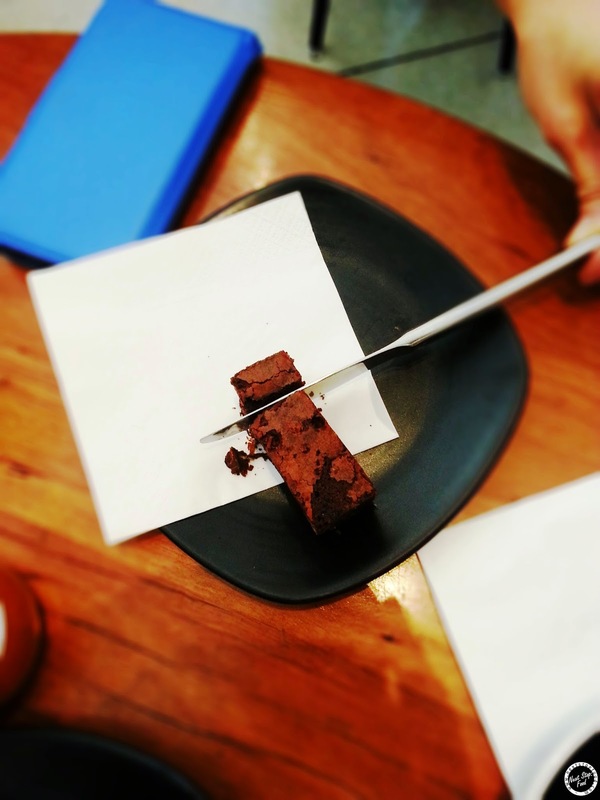 Love how they put a generous amount of nuts in the brownie. Last but not least, the famous cookie and it's certainly worth the hype. The pink salt balanced everything and the dough itself wasn't too sweet. The service was good and we were lucky to wait only 5 min. The itty bitty carrot cake will be a must order item when I come here next! love the cookies here! the coconut macaroon is also tasty! dam i have yet to check out this place! everything looks so good! I saw too many yummy pics in IG and decided that it was a must to go! And it helps that I live close to them too hehe. Their pink salt choc chip cookies! I need one right now! Happy New Year and here's to an even bigger year of eats in 2015!